Saturday was a great day for our Sound the Alarm program. Thank you to all the awesome volunteers who installed 101 alarms in 44 homes in Leisure Village! American Red Cross shared fire safety information at Brentwood Fire Department’s Open House on Saturday. MIRA USA and the American Red Cross teamed up to train and prepare Miraísts to help the community in case of a disaster. Red Cross volunteers were on scene in the city of Peekskill providing Emergency Assistance and support to 6 families affected by a fire. On Friday Allstate presented ARC with $30,000 in recognition of 45 Westchester agents volunteering to help commuters and their families prepare for unexpected disaster. 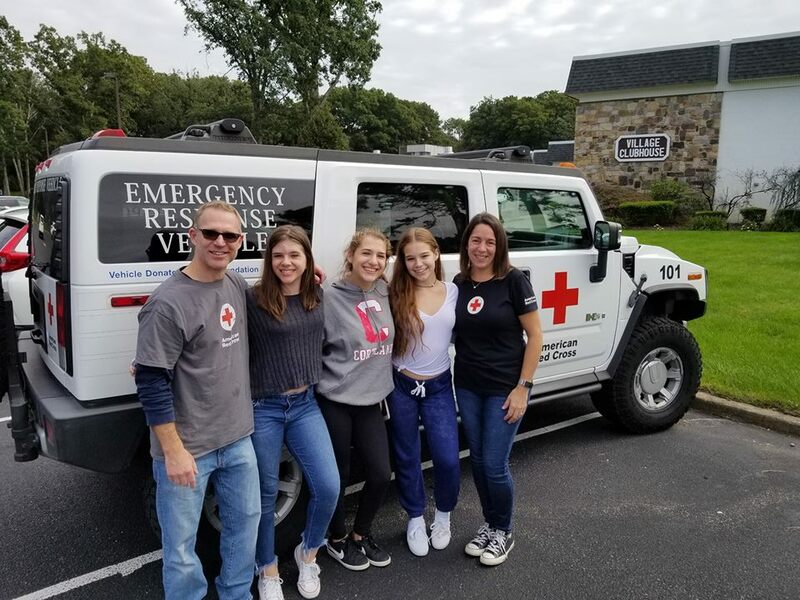 Thank you to our Red Cross volunteers who responded to the EF-O Tornado in Ronkonkoma, Long Island to assess damage, provide food, and offer support to those impacted on Wednesday. On Tuesday Red Cross volunteer Janette shared about her work in the Latino Engagement Group. Click here to learn more about how she serves vulnerable communities after Hurricane Florence. Our Communications Officer Mike de Vulpillieres, who was deployed to North Carolina, shared the stories of survivors of Hurricane Florence and how they make the best of a tough situation: Barry, Sonja, and Georgia. The Eastern North Carolina Red Cross shared a story of our very own FDNY DART team helping their communities affected by Hurricane Florence. Oct 12, 13, 15: Red Cross blood drives will take place from 2 to 7 p.m. at the Greater NY Red Cross building located at 520 West 49th Street, Manhattan on Oct 12 and 15. On Oct 13, the blood drive will take place from 10 a.m. to 3 p.m. at the Renaissance Youth Center located at 3485 Third Avenue, Bronx. Schedule an appointment to donate today. .